Due to the huge amount of requests, and thanks to advice from d-san, I’ve decided to release the softsubs for this ep first. These are timed to the Chinese subbed version available out there. I’ll update this post again with hardsubs when I get a proper raw of the full episode. Update 27 Mar: if you need help locating the video file, do let me know either 1) via DM on twitter @yamazakikentojp, or 2) email me: admin at yamazaki-kento.com (of course, please change “at” to “@” and remove the spaces!). Thanks! Hi ! a little help for that chinese subbed version please ! thank you already so much! Can you still sub the previous episodes? i know as you said there’s no need to watch the previous but just for the sake of enjoyment can i request you to sub or if not, then if you can email me the raws? yes, i will still sub the rest of the episodes. hello! for todome no parallel, i can’t found ep9. did you have it??? The chinese sub is enough for me, can you give me the chinese sub link? hi! i was wondering if you could send me the chinese sub link as well. thank you very much! Hi, could you send me the link for the Chinese subs too? Thanks loads! can u send me the link for vid?? i cant open it.. tq.. Hi!! thank you so much. Can you send me the video link!! I really appreciate your effort and work to make this possible. hi.. Where can I watch todome no parallel episode 9? iro iro arigatou ne ? where can i find the episodes 4-9 of todome no parallel? I’ll be working on subs for eps 4-9 soon, but there are Chinese subs available out there already. hellooo! Thankyou so much for your efforts and for taking time out for doing this for the rest of us, we really did need this final ep subbed before others. however, although I already watched the raw online (couldn’t stop!!) somehow with much difficulty, I really have no idea how to utilize these soft subs you provided…if it’s not too much could you help out please. hi, you can open the video in vlc player, then go to “subtitle” and “add subtitle file”. OR rename both video and sub files to the same name and place them in the same folder – when you open the video in vlc player, the subs will load automatically. hi, u’ve to download 1) soft subs file, and 2) video file. Then play the video in VLC player, and go to “subtitles > load subtitles” to load the SRT. in this post, i’m only sharing 1) soft subs (which is the SRT). i’ll send u the link to the video file via email. Hey could you also send me the video file for this? Thank you! oh ok thank you! Did you receive it? omg so cute<3 now i really need a sequeeeeel. otsukaresamadeshita! hi, could you email me or DM me on twitter? (your twitter doesn’t accept DM, and i do not have your email address~) thanks. Arigatou…now that I have seen this episode I can die in peace. Thank you so much for subbing these. I need a little help with finding the chinese subbed version? if you still can’t find it, pls send me an email or DM me on twitter. where can i find the link for the chinese subbed version? hi can i ask for a link for the raw video? Hi did you know where i can watch the raw video? Hi, sorry a bit lost but is this in English sub? if so could you pls share the link? thank u so much!! yes, this is english soft subs. please download it from the MF link in the post. I can’t find the mf link…would u mind sending it??? It’s under the image (SRT). hello, can i have the link for chinese subbed ep10 please? Hello, would you please send me the link of the video too? Thank you so much for your hard work? Sure, I’ve sent u an email. yes, i’m planning to. thanks! hi I can not watch your video. Could you please send me a link? Hi, may I please have the link to the raw video? Hi, can i have the link for its raw video. THanks! hi i can’t download your video. could you please give me a eng sub? sure i’ve emailed it to u.
I cant find the video. Can uplease send a link also tome? Hi, domo. 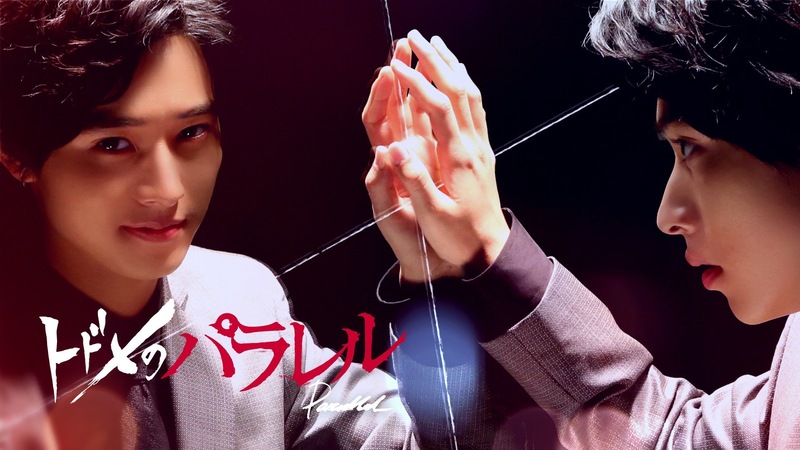 I wish i can watch todome no parallel ep 10. I really like this drama. Can you send me the link with the subs? thank you so much. hi, please download the softsubs from this post. i’ll email u the video after this. Hello! Can i ask for a link of the raw video? if anyone else wants the raw vid, it’s faster to either email me or DM me on twitter. thanks. Can i have the link for the the last parallel world eng sub? because i can’t download the video from the post above ? what is provided in this post is the english soft subs (srt file), so there is no video. if u can’t find the chinese subbed video that these subs are timed to, pls email or dm me, as mentioned in the post. thanks. Hi, can I get the link as well? Hi, how many episodes are there in Todome no Parallel? Thank you. there are 10 episodes (each ep is related to the respective ep of the main drama). oh. Will you sub also the rest of epi? btw, can you pls send me the raw video? Thank you so much for subbing. yes i will. and i’ll DM you the link on twitter. Hi Could you please email me the link of this ep ? Chinese version is okay too. Thank you very much . Hi, can you email me the link of this episode? Thankyou ? Hi, can you sent me the video link ep10 todome no parallel. ? Hai, can I also get the link of the video and also thank you so much for the eng subtitle. I really appreciate your hard work :””’))) ??? Hi, can you send me the video file. Hi, I really wanted to watch the final episode of Todome no Parallel. But I can’t find it ? I must be an idiot. Can you also please give me the video link. Onegai! ? If anyone still needs help finding the video or have any trouble downloading or playing the file, please email or DM me as mentioned in the post. Thanks! Can you sent me the video link please. thank you for the subs. could you pls send me a link to the video? Thank you so much for this! I really appreciate your effort. Hi! Can you send me the raw episode 10 of todome no parallel? Thank you so much! can u give me the link for the last ep of parallel world in eng sub please ? Were can I find the ep 6-9???? Please Can you send me the link for ep 10 Parallel and others if possible!! Thank you…..
Can you also send my the link for ep 10 Parallel and others if you have them. Please. Thank you. hi can email the chinese link thank you. Can you send me the raw video link and the Chinese Sub link. Thank you! Hi, how can I download all ep of tomepara, especially episode 10. I’ve finished Todome no Kiss last march and this is the 1st time I’ve heard that Todome no Parallel is the real ending, and I’m curious. Thanks.! Hello, would you please send me the link of the video? Thank you so much for your hard work? can you send me the link of the video?? Hello, I just find out the Todome no parallel after watching TNK, and that how I arrived on your website ! anyway, could you send me the link too? Hello, I was having trouble downloading the video can you please, please, please! Send me the link. Also thank you for all the effort you put into this series. Thank you so much for the Hardsubbed version. Otsukaresamadeshita. pls click on the MF link below the image. it takes u to the download page. Could you please send me the link for the raw version or even the Chinese subs? please download the english hardsubs, thanks. Thanking for subbing all of these episodes! Can I ask for any sites or links for episodes 7, 8 and 9? Even the raws or Chinese subs are fine! Could I ask you for links of episodes 7, 8 and 9? hi, please click on the “MF” link below the picture. it’ll open the download page at mediafire. then click on the green download button. Thank you for translating this but i can’t find the episode 9. Can i have a link for this please ? Thank you very much. Hello, im having trouble with sound, i opened the video with a video app but still no sound. Is there a problem? Hi, please try playing it in vlc player. the download link is already posted above, below the image. Thank you so much for your hard work!! Really enjoyed this drama.